International Honey’s Mobile Extraction Trailer. 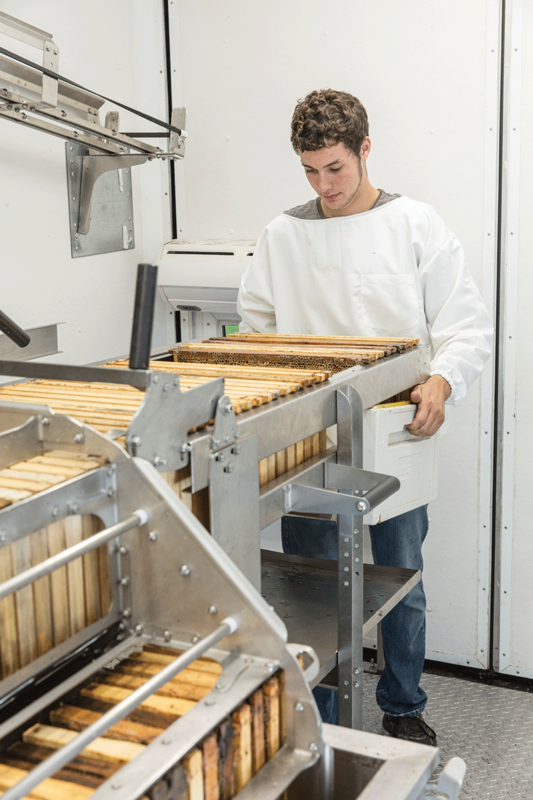 Located in the Canadian prairies, Manitoba has long been a major producer for beekeeping in the country. This is where Collin Stone calls home. 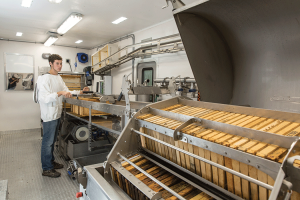 Here he operates International Honey Products, a manufacturer of honey extraction equipment. With a background as an inventor and entrepreneur, Collin has worked in aiding in the design and testing of mechanical and electrical equipment to create efficiencies in many industries, including some fortune 500 companies. 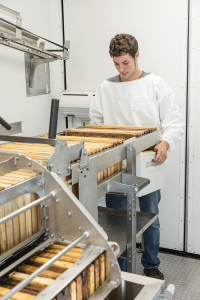 Collin’s introduction into beekeeping began as a project with his teenage son, allowing him to earn money for his first car. Together they purchased 10 hives from a local beekeeper and set out on their first season. At the end of the year, the honey they sold netted $6,000. The following year they increased to 33 hives, which earned them $16,000. It was at this point that he realized there may be unforeseen opportunities in beekeeping. 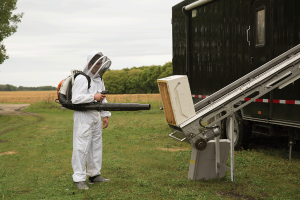 It was in those first few years in a hot room, knee deep in bees and honey with a hot knife and a 30 frame extractor, that Collin began to realize that the methods and technology in beekeeping have remained stagnant for the past few decades. 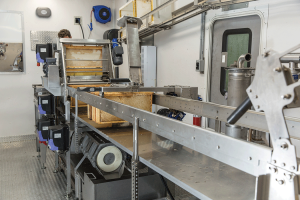 His ingrained thought process of creating efficiencies coupled with his passion for beekeeping led to the creation of International Honey Products, and the design of the mobile extracting unit. Collin Stone and International Honey Products manufactured a custom 32’ harvesting trailer equipped with a 120-frame extracting line. 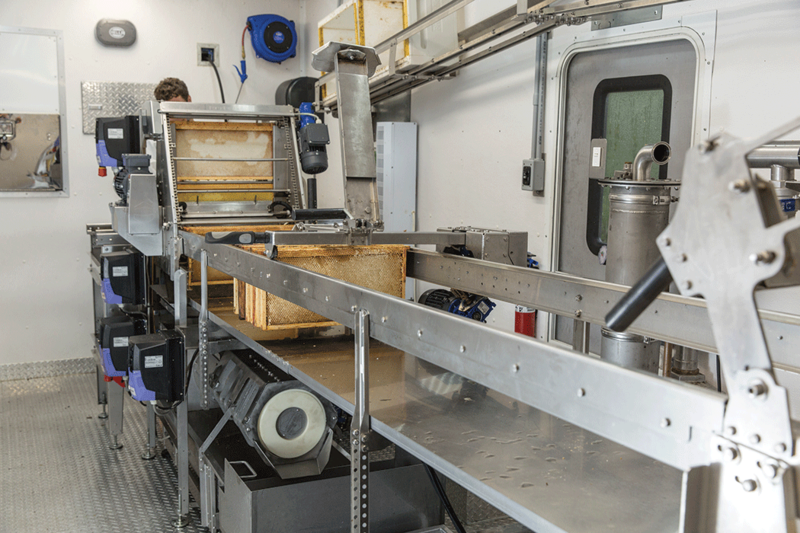 The mobile honey extracting unit allows for incredibly efficient 24/7 honey extracting with minimum labour requirements. 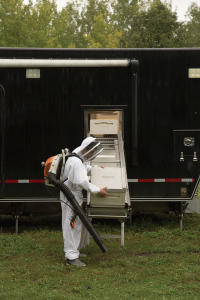 The mobile unit is a self-contained, diesel powered trailer capable of fully extracting, filtering and barreling 740 frames of honey an hour. With mobile extracting, you simply pull into a beeyard or staging area, remove full supers and place them onto a conveyor. The trailer’s technology removes full frames from the supers, uncaps the wax from the frames, and then loads them into an extractor for the removal of honey. 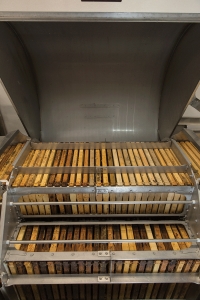 The honey is barrelled and filtered right on site, and the frames are reloaded into the supers, which are placed back onto the original hive all within minutes of the initial removal. In addition, from the original concept and testing phase, several new advantages were found in the mobile technology. 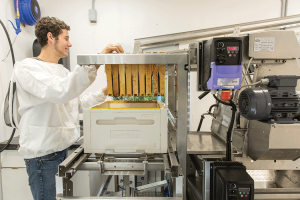 With the introduction of NFC tracking technology, International Honey Products can now track not only each individual barrel of honey with GPS location technology right back to the beeyard in which it was produced, they now have true to source tracking that can monitor the individual hives. 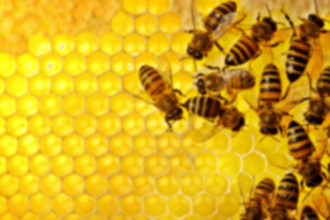 Not only does it allow for data to be collected on the honey production of each individual hive, it also has paved the way for a new and innovative breeding program for high-yielding queens. 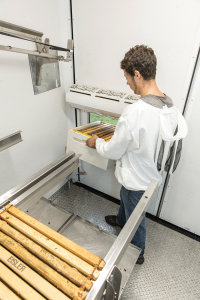 With multiple units operational in North America and orders filling up for next season, the innovative concept of mobile extraction appears to be much more than just a passing thought within the industry. 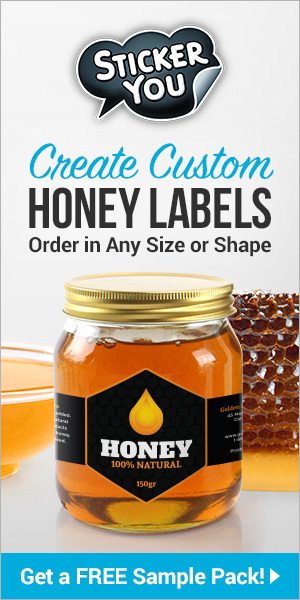 For more information on the mobile honey extractor, you can visit International Honey Products website at http://www.internationalhoney.com. The mobile extracting unit is towed right into a beeyard or staging area. The trailer is then disconnected from the truck and auto-stabilized by a remote. The levelling legs are lowered to ensure the entire unit is balanced, which ensures the honey flows unhindered through the heated sump pit and filtration system. 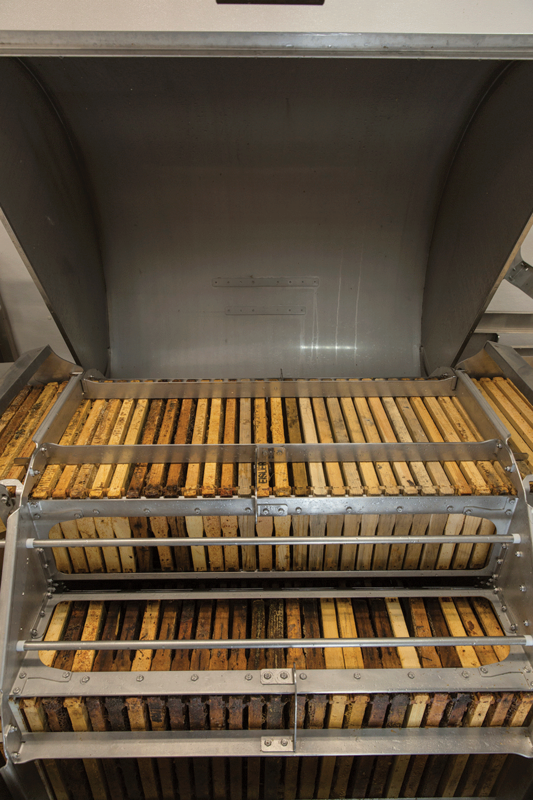 Honey supers are brought to the side of the unit, then loaded onto the conveyor which feeds them into the trailer. 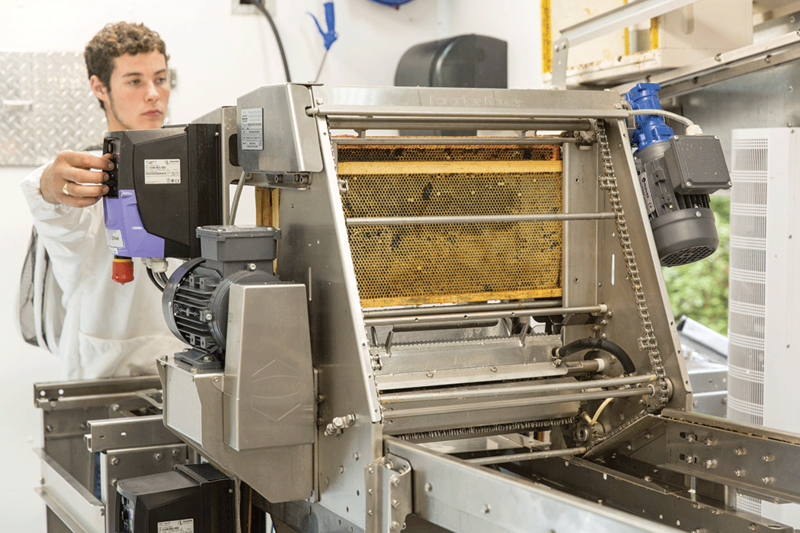 Once entering the unit, the honey supers are fed onto the deboxer. The frames are removed from the supers and fed into the uncapper. 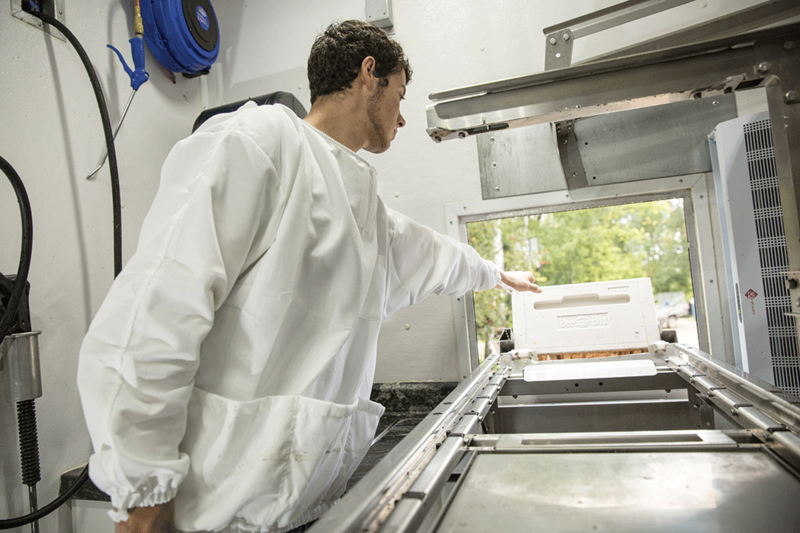 The cappings fall into the hopper and are then fed through the wax press, which eliminates the need for a centrifuge. After exiting the uncapper, the frames accumulate on the loading rack, where they are then loaded into the 120-frame extractor. The extractor will run on a 6-8-minute cycle time. 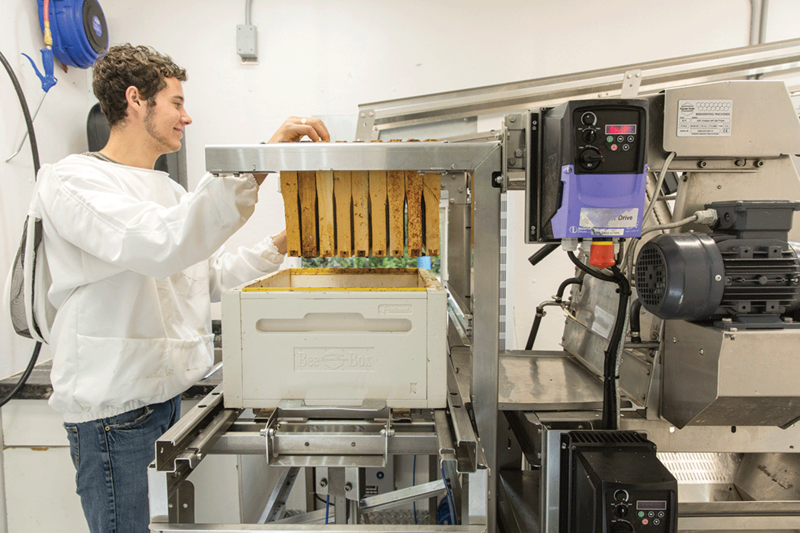 When the extractor is loaded it automatically unloads the empty frames which are then placed backed into the supers to be put back on its original hive.